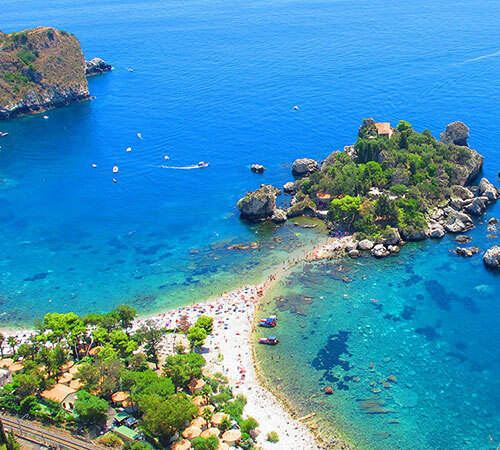 Referred to as the pearl of Sicily and unique for its hill top position Taormina is on a cliff over the sea. 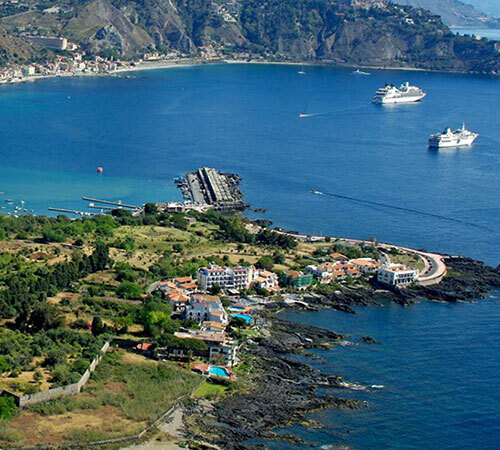 It boasts a breathtaking view, that on one side overlooks Isola Bella and on the other, the bay of Giardini Naxos and the majestic volcano Etna. It offers its numerous visitors stunning scenery and as well as a walk along the famous main street - the Corso Umberto, other must sees are the Greek theatre, Palazzo Corvaja, the cathedral of San Nicolò and Piazza San. Domenico. 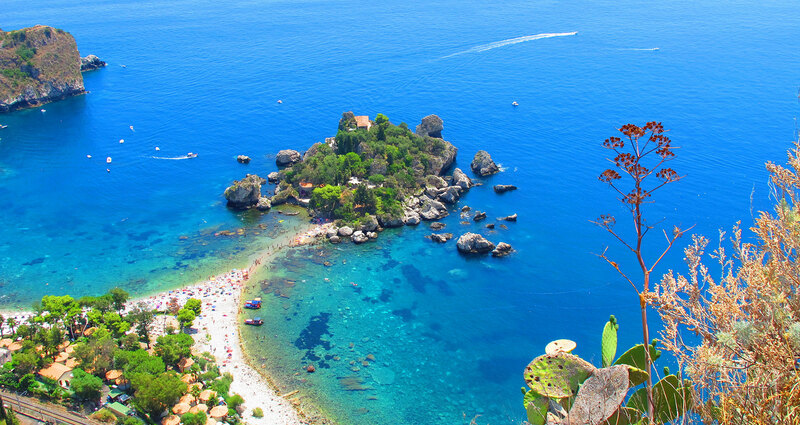 Distance from the Resort to Taormina: 6 km. 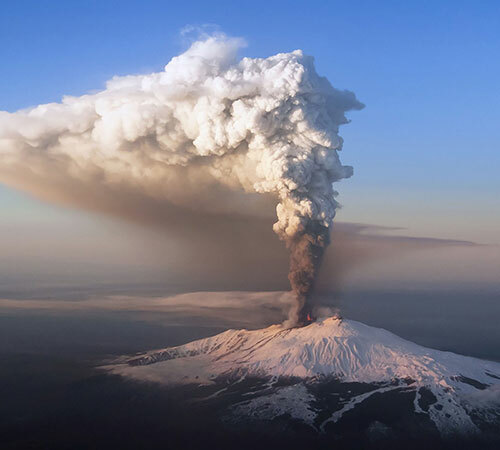 Etna (Mungibeddu or simply ’a Muntagna in Sicilian dialect) is an active volcano on the east coast of Sicily between Catania and Messina. 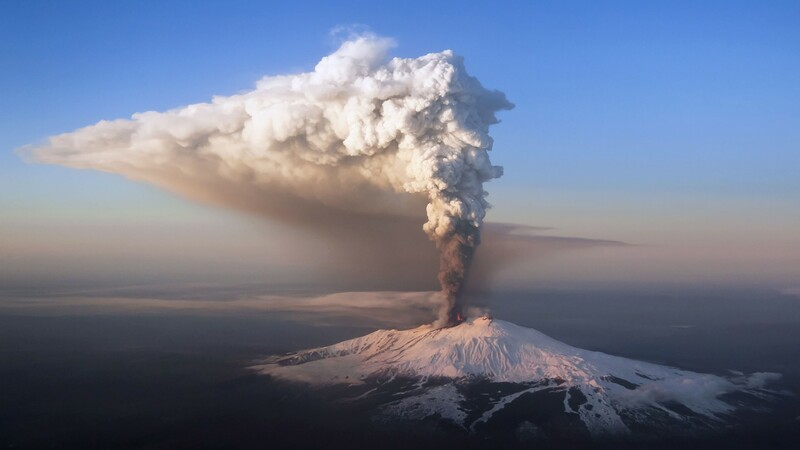 Etna is the highest volcano in Europe and one of the largest in the world. Its height varies due to the frequent eruptions but is currently measured at around 3,340 m.
above sea level and has a diameter of around 45 kilometres. Distance from the Resort to Etna: 40 km. Among the trees and rocks runs the river Alcantara, through the valley that bears the same name. 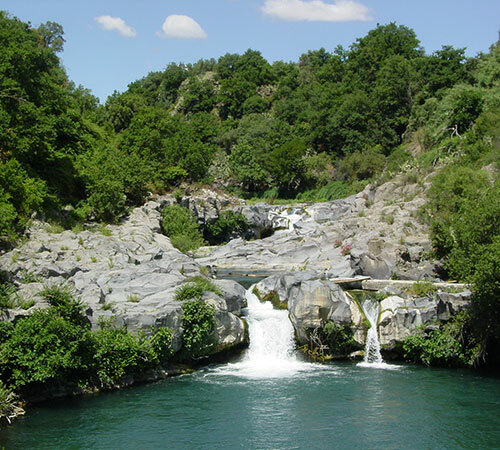 Just a stone's throw from the Resort, in just a few minutes you can follow the river into the wild natural beauty that Sicily is famous for. 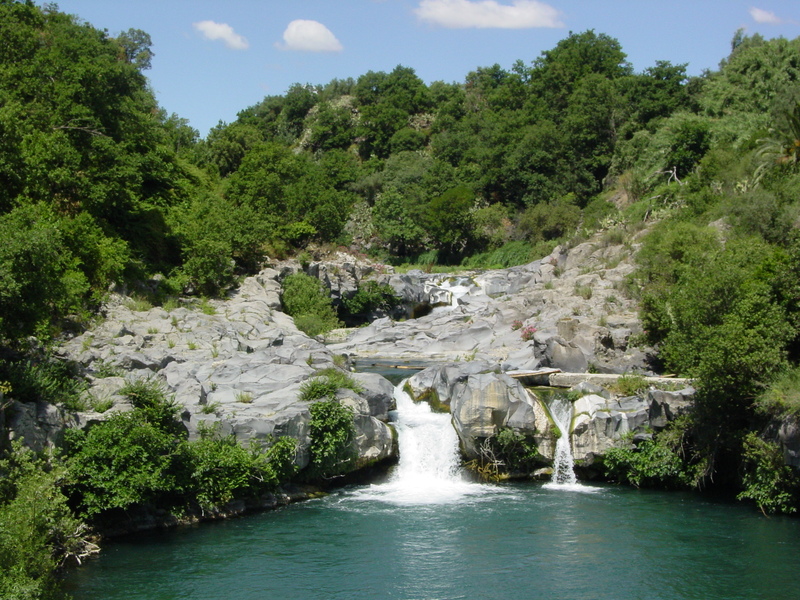 Distance from the Resort to the river Alcantara: 500 m.
Just a few kilometres from the Resort, towards Francavilla di Sicilia, near the town Motta Camastra, lies the spectacular Alcantara Gorge. 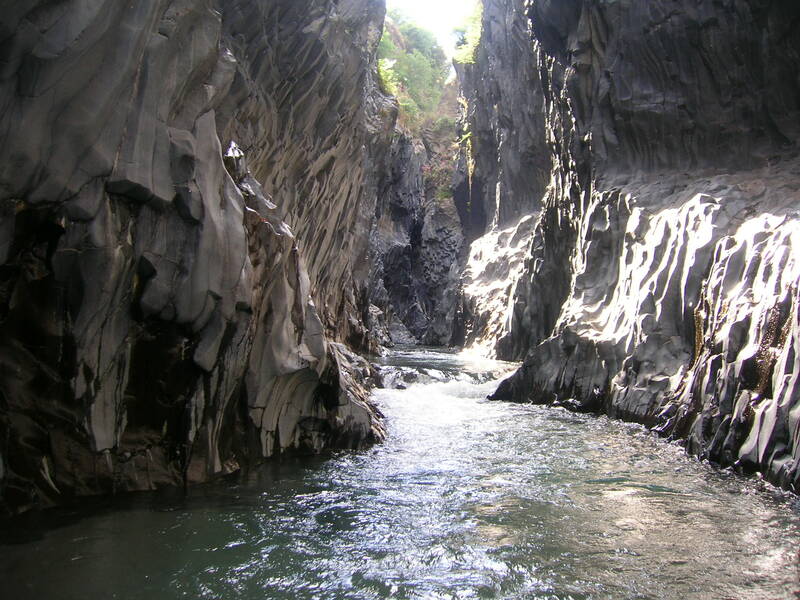 The gorge offers nature at its best, including imposing volcanic rock, wild vegetation and the slow, flowing river. 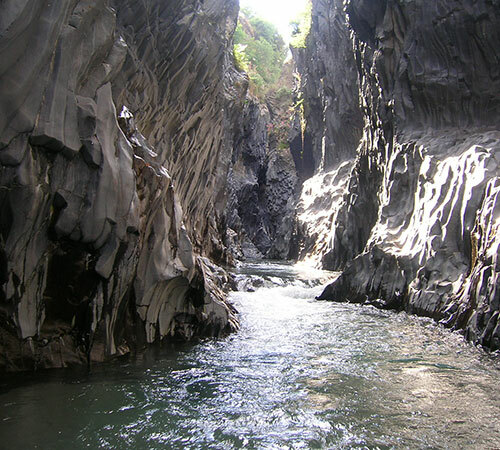 Distance from the Resort to the Alcantara Gorge: 6 km. Famous for being the first Greek colony in Sicily, today Giardini Naxos is a tourist hot spot for those seeking a beach holiday. Its bay offers a large sandy beach, crystal clear sea and a variety of types of accommodation to suit all. Distance from the Resort to Giardini Naxos: 4 km.